Your story begins with the moment of your death, and with the Bargain that reversed it. With the cold hand that brought you back to the living world, with the dry whispers that still haunt you, with the presence that has nestled in your very soul. Every night is the carnivale, because every night you walk with ghosts. Death is a door. You are the one with the key. 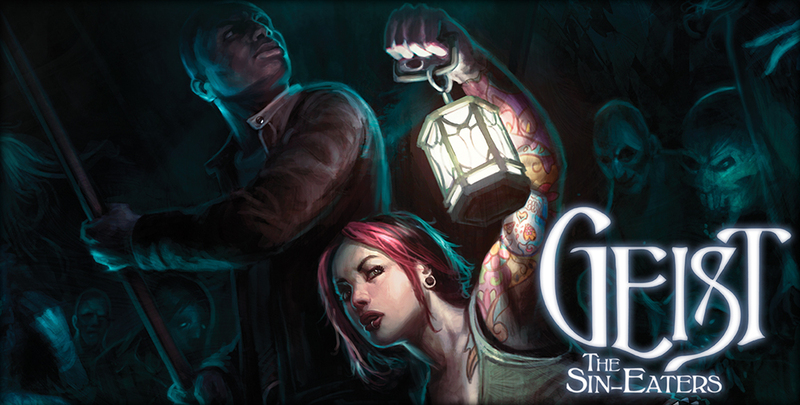 Originally released in 2009, Geist: The Sin-Eaters was a sleeper hit for the Chronicles of Darkness, finally bringing “life” to the realm of ghosts and death. The upcoming second edition offers a revised and updated rules system and an expanded setting. 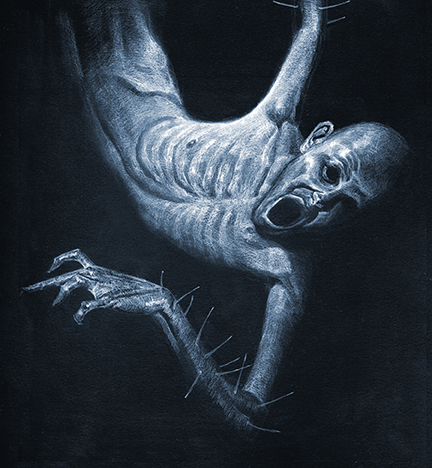 If Geist sounds interesting to you, head over to our DriveThruRPG storefront to get the Geist: The Sin-Eaters Rulebook. Second edition coming soon! Geist merchandise is available via our RedBubble store. Now Available: Dark Eras cover shirts!